Cosentino began making wine in small lots in Modesto, California in 1980. Ten years later he moved the Cosentino Winery operation to the Napa Valley, where he continued to make many award-winning varietal and blended wines. Cosentino has a gift for identifying fruit sources and is highly skilled and artistic in determining blends. He’s a big believer in the hands-on, old world use of punched cap fermentation, a labor-intensive, hand-crafted method of winemaking. When it comes to the small lots Cosentino puts into his pureCru blends, this "micro" approach to winemaking allows him to better control the delicate process from the vineyard to the bottle. Don is a principal in The Produce Exchange, an integrated fresh produce company, involved in production, sales and distribution of fresh vegetables across North America. He has been involved in agriculture for the past 35 years ranging from being a CPA specializing in management services for agricultural accounts to growing and management of row crops, tree fruits and wine grapes. James (J.P.) Nylen is the founder and president of Nylen Properties Corp., a commercial real estate construction and development firm located in the Central Valley of California, founded in 1977. 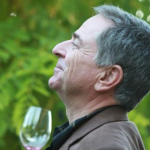 A passion for great wine and golf led to a meeting with Mitch Cosentino. It didn’t take him long to recognize Mitch’s talent and pureCru Napa Valley was on its way. Dr. Prabhjit Purewal is an oncologist and the founder of St. Teresa Comprehensive Cancer Center in Stockton, Calfornia. Dr. Purewal had the good fortune of working with Mother Teresa at a leprosy colony in Northern India early in his career, and named the center after her. Dr. Purewal studied at Albert Einstein College of Medicine New York and Stanford University.